Embry-Riddle Aeronautical University's Wings & Waves Air Show 2014 in beautiful Daytona Beach, Fla., as shot on both October 11 & October 12 from the roof of the Hilton Daytona Beach Oceanfront Resort. 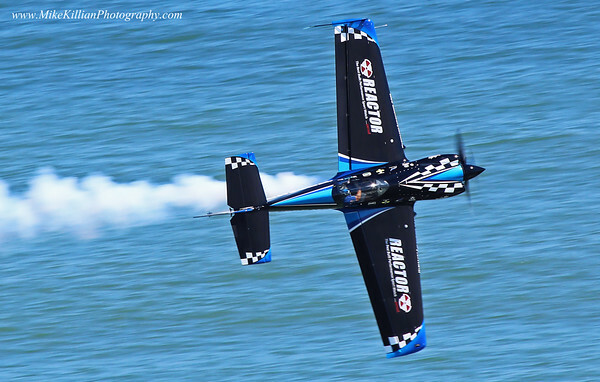 The weather was perfect, the flying was amazing as always, & the local PD did a fantastic job of traffic & crowd control (as should be expected of a city like famous Daytona Beach). The lighting was fantastic for photography as well, & being on the Hilton roof many of the passes were well below us. Well organized beach show that I highly recommend to anyone thinking about attending in the future. With thanks to Embry Riddle & the Hilton Daytona Beach for an incredible bird's eye view of the performances! All images are copyright 2014 www.MikeKillianPhotography.com, all rights reserved, use without permission is prohibited.